Irish greeting card offers congratulations on your graduation. bring you to the fullness of all that you can be in the years ahead. And may the good saints guide you along your way. 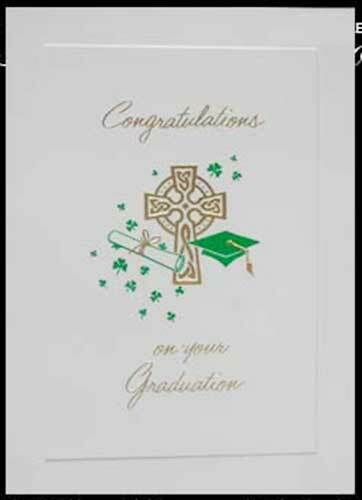 This Irish graduation card features an embossed and gold foil design along with a blessing inside. The Irish congratulations card is made of heavy card stock and measure 5” wide x 7” tall; an envelope is included. This Irish note card is made in the United States.